FRANKFURT (Bloomberg) -- Adnan Ebrahim was blogging about cars alongside his university studies until Volvo Cars invited him last year for a test drive. The hobby has now turned into a full-time job, as luxury automakers work to reach new buyers. "If you can demonstrate to Lamborghini or Ferrari that you can drive a million views to a video, they're more than happy to lend you a car," said Ebrahim, 21, who runs the London-based Web site CarThrottle.com. "Traditional media still has quite a large reach and readership, but it's changing pretty quickly." BMW, Daimler's Mercedes-Benz and other luxury brands are boosting efforts to court bloggers such as Ebrahim to target a growing audience of would-be buyers who can't be reached through TV and newspaper ads. The feedback from blog comments and Twitter feeds also flows back to affect styling and sales forecasts. BMW claimed an 88 million-euro ($110 million) revenue gain for its 1-series line by wooing customers with a Web-only campaign. "It is especially important for luxury carmakers to build an emotional attachment to the brand," said Stefan Bratzel, director of the Center of Automotive Management at the University of Applied Sciences in Bergisch Gladbach, Germany. The Web "is a domain of the younger generation, but Generation Y is now reaching an age where it can afford luxury cars." Online advertising spending by carmakers in the U.S. may surge 57 percent to $1.4 billion by 2016, Chantilly, Virginia-based consultancy BIA/Kelsey predicts. That beats the projected 8.2 percent rise in total ad spending to $10.6 billion. The online growth reflects increasing competition, especially in luxury vehicles, where Mercedes and Volkswagen Group's Audi have vowed to surpass BMW by the end of the decade. Munich-based BMW is using the Internet to keep them at bay, crediting a Web campaign for boosting production of the M performance version of the 1-series coupe by 68 percent. BMW teased different aspects of the sporty variant of the two-door compact, which starts at 51,500 euros, 84 percent more than the base model, in a series of videos posted on Google Inc.'s YouTube months ahead of its May 2011 debut. The five videos, which encouraged blog comment, garnered a total of 3.1 million views, with more than 20,000 people providing contact details as a result, according to BMW. "These are leads that said 'I want to have this car,' " said Florian Resinger, BMW's head of social media. "This was one of the best returns on investment in media and marketing that we've had so far." The database of potential buyers created by the campaign helped lead to an increase in the production run to 4,200 vehicles from 2,500, Resinger said. The additional volume of the model is equivalent to 88 million euros in revenue, based on the model's starting price. "Prospective BMW customers have a higher income on average, higher education, and this has a correlation to higher internet usage," Resinger said. 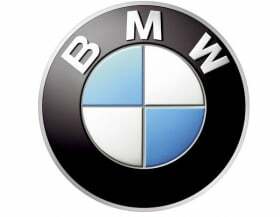 While BMW is forecast to triple Internet advertising spending in its home market of Germany this year to 1.3 million euros, it is still outspent by Audi's 3.3 million euros and Mercedes-parent Daimler's 3.7 million euros, according to research by Nielsen Holdings NV. Those figures are dwarfed by TV spending, which totaled 12.3 million euros for Daimler and 10.3 million euros for Audi, according to Nielsen, the New York-based research company. BMW gets by with just 3.5 million euros for TV ads. The continued dominance of TV and General Motors' move to scrap ads on Facebook reflect the Web's limits. "Automakers all have work-horse marketing, where they just run a ton of TV commercials," said Nick Parish, editor of New York-based advertising quarterly Contagious Magazine. "They're getting to the point with social media where some of that can help supplement it, but it's not carrying the load yet." The feedback from online marketing also offers the opportunity for manufacturers to avoid costly flops. VW's Bentley garnered unflattering reviews after presenting a SUV concept at the Geneva motor show in March. "Still not recovered from seeing that Bentley SUV yet ... *shudder*," Oliver Bock-Brown, who blogs for Oversteer, said on the micro-blogging site Twitter on March 12, echoing views expressed by other users. The styling is still being worked on and "the online feedback will be used by us as we develop the concept further," said Richard Durbin, a spokesman for the Crewe, England-based VW Group subsidiary.